Grace Century, a private equity firm specializing in the healthcare sector, recently completed 6 full years in United Arab Emirates. Ras Al Khaimah, United Arab Emirates, October 14, 2016	(Newswire.com) - ​Grace Century, an international Research and Private Equity Company based out of Ras Al Khaimah, U.A.E., has celebrated its sixth anniversary of business, researching and vetting healthcare projects, and specifically companies in regenerative medicine for its group of Members. Now entering its seventh year, the firm was founded on the principal that “start-ups” had little-to-no access to capital post the Great Recession of 2008, minimal knowledge or infrastructure for overseas international expansion, and often experienced difficulties finding the time to interact with their investors. Likewise, Angel Investors faced challenges in conducting in-depth due diligence into opportunities, and were often reliant on any offer that a targeted project was willing to make. Finally, Angel Investors wanted and needed a constant flow of information on the progress of projects that they are involved with. Filling these knowledge gaps for both start-ups and Angel Investors alike was the core principle upon which Grace Century was established. Grace Century has accepted only two projects in its entire history, which were considered meeting all the firms’ criteria for their idea of a “game changing” project. This is the result of 100’s of projects submitted, researched, and vetted. Presently, Grace Century has been working with a “Cloud- Based” healthcare IT firm specializing in Electronic Medical Records (EMR). EMR has been mandated in the United States, but in reality is seen as a global issue. Wolf comments “Most EMR platforms have been built off of outdated legacy software models. What is mandated and needed is a cloud-based solution where every healthcare provider and every patient has real time data, whenever and wherever they are. Healthcare is the last industry to embrace information technology, and this has to and will change”. The firm has the highest certification of MU2 (Meaningful Use) and holds 12 U.S. patents. Grace Century’s second project is in Stem Cell / Bio banking and regenerative medicine, a segment they believe represents the future of the healthcare industry. True to Grace Century’s model of new industries or what the firm perceives as “game-changing’ technologies well before being accepted or even known by the general public, Stem Cells are being heavily researched by virtually every major bio-medical firm and university in the world today. It is widely believed that the power of using autologous (one’s own body) Stem Cells are the key to everything from curing diseases, repairing the body after accidents, and even re-growing body parts. 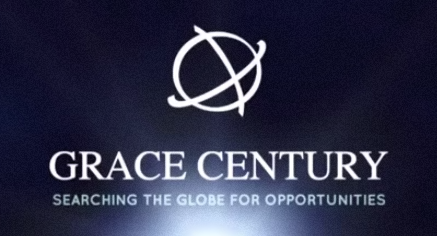 Grace Century FZ LLC is an International research and private equity consultancy located in Ras Al Kamiah, (north of Dubai) in the United Arab Emirates (UAE). Grace Century specializes in “game-changing” life science and health related private equity projects.